Formerly Mantle Mining (ASX:MNM), AuStar Gold’s (ASX:AUL) strategic vision is to become the next mid-tier Australian gold producer. The company is focused on the acquisition and return to production of low entry cost, idle gold mines at a time of strong gold prices. The strategy involves employing a portfolio approach, with multiple assets held in the highly significant Eastern Victorian Goldfields. 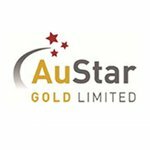 AuStar Gold Limited (ASX:AUL) has continued to release significant high-grade gold results from its Rose of Denmark mine, part of the Morning Star Project, in Victoria’s Eastern Goldfields.